Home » Amazing » Bhagat Singh. By Sparky in Amazing on February 12, 2009 . One evening a boy of three was out for a walk with his father. There was also an elderly man with the father. Chatting they walked on and went beyond the village. Green crop delighted the eyes. The elders were walking along the edge of a field. Not hearing the footsteps of the boy, the father looked back. The boy was sitting on the ground and seemed to be planting some thing. The father became curious. “What are you doing?” said he. “Look, father, I shall grow guns all over the field” was the innocent reply of the boy. His eyes shone with the strong faith that guns would grow in the field. Both the elders were struck with wonder at the little boy’s words. 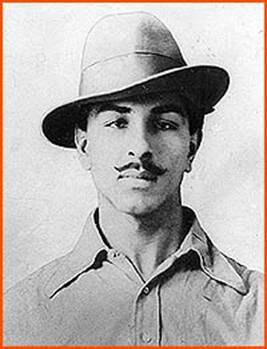 The boy was Bhagat Singh who later fought like a hero for India’s freedom and sacrificed his life. 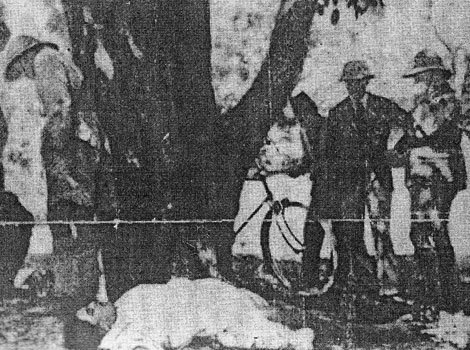 Bhagat Singh was hanged on the 23rd of March 1931. He was just 24. People say that your actual life starts at 24. Even he was from a very rich family. Just imagine his great sacrifice at this young age. These three brave men gave their lives for their country. They were no ordinary men. They were men who dedicated their lives, who fought the British till their last breath. One of these men, who’s a bit more famous than the other two, went on a fast for 52 days at a stretch!!! I’m not sure if even half a million in this country know about this great deed! The three of them were mercilessly killed on this day by the British. The three men were Bhagat Singh, Sukhdev and Rajguru. Lets pay our homage to those great warriors. The greatest man of all time. He not only fought for freedom, but was as peaceful as possible in his cause and tried to prepared India for the future. Sikhdev, Rajguru and Bhagat made India.